This edition of the race will see a new format for the racing programme in the host cities, including the start city of Alicante, Spain & finish city of Galway, Ireland. For the first time, the Volvo Ocean Race will finish with an In-Port race in Galway. The iconic islands of the Azores in the Atlantic, Fernando de Noronha off the Brazilian coast & the Fastnet Rock, the southern most point of Ireland, all make an appearance on the course. The new racing schedule for the stopovers will conclude with an action-packed long weekend in the host cities. “We had two aims when changing the stopover programme,” said Knut Frostad, CEO Volvo Ocean Race. “Firstly we have reduced the time the teams are onshore and the time they have between the In-Port race and the Leg start. Traditionally the teams would change their yachts from an offshore sailing mode to an inshore racing one and back again for the Leg start. By bringing the two events together we lower the costs to them and their sponsors. In fact, we have also achieved more time for the shore crews to work on the yachts and subsequently the sailors get more time off. The Pro-Am races will be first on the agenda for the weekend, where the sheer power of the yachts and the onshore glamour of the race are showcased to the public and race guests. These races do not count to the teams’ overall points. The second day sees the Volvo Ocean Race teams battle it out in two In-Port races, which count to their overall scores. The short course of the In-Port races and the proximity to the stopover harbours and beaches, will allow the public to watch the exciting racing up close, as the teams push the yachts to the limits trying to gain the important extra points. The finale to the long weekend is the Leg start, where the teams say farewell to the host city and begin the offshore battle to the next destination. The start and finish ports also have a new look schedule. Alicante will have a week of festivals between the In-Port and Pro-Am race weekend and the start of Leg ONE to the popular host city of Cape Town, South Africa. Galway will be the first finish city in the race’s history to hold an inshore race after the final leg. 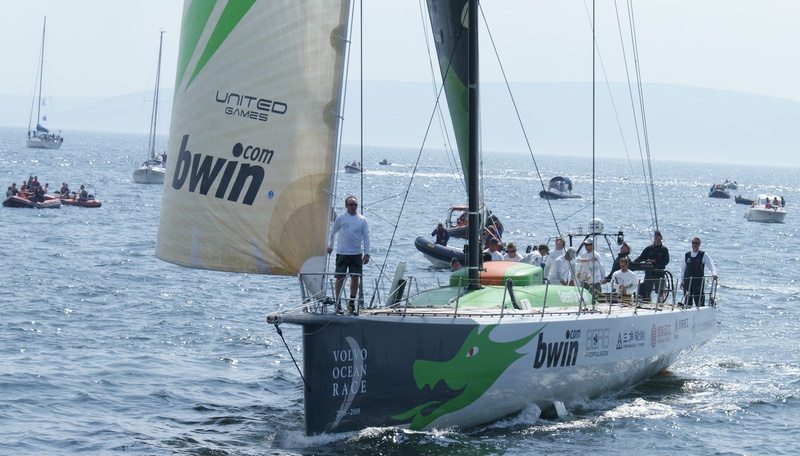 This will not only give the teams a chance to add valuable points to their overall scores but also allow the enthusiastic Irish fans to enjoy the racing on Galway Bay. There will be no scoring gates in this edition of the race but the fleet will still pass round some famous islands on their course round the world. Leg ONE will see the fleet pass the island of Fernando de Noronha, 200 nautical miles off the Brazilian coast as the first proper rounding mark of the race. Due to increasing pirate attacks and hijacking off the coast of Somalia, the fleet will sail around an exclusion zone, which will be added to this area nearer race time to help reduce the risk to the yachts. On Leg EIGHT from Lisbon, Portugal to Lorient, France the fleet heads offshore again for a 1,940 nautical mile leg, rounding the Portuguese archipelago of the Azores before heading back towards the northwest coast of France. The Fastnet Rock is the last landmark the sailors will sail around before their final sprint up the west coast of Ireland, to the finish in Galway. The race will visit eight stopover ports on five continents and race through four oceans, in under nine months. The Volvo Open 70’s will cover over 39,270 nautical miles racing around the globe.